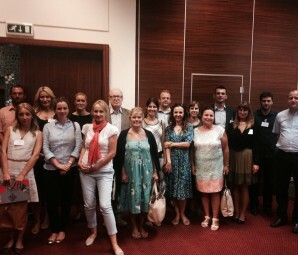 Within the project “Strengthening the Labour Market Research Network – Toward the Understanding of the Political Economy of Unemployment in the Western Balkans”, implemented by FREN from Belgrade in partnership with and Institute for Strategic Studies and Prognoses and American College Skoplje, a first working meeting was held in Kotor in the period between 7th and 9th of July 2016. This project is realized within Regional Research Promotion Programme supported by the Swiss Agency for Development and Cooperation (SDC). Please download full version of the report here. University of Donja Gorica (UDG) together with ISSP, DAMAR and MONSTAT will organize the fifth Research Day on 04.04.2016. at 10h. 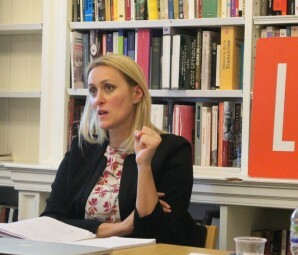 Within the London School of Economics LSEE Visiting Speaker Programme, Jadranka Kaludjerovic, director of ISSP and Sanja Kmezic, EURAK presented research paper “Impact of fiscal decentralisation on local economic development in Serbia and Montenegro,“ prepared within EURAK’s Swiss-funded Regional Research Promotion Programme (RRPP). Click here to get more information about Visiting Speakers. Association of Economists and Managers of Montenegro organised the twentieth “Milocer Regional Development Forum” in the period 14-16 September 2015 in Hotel “Maestral” in Przno. The theme of this year’s forum was: “Globalization, Culture and New Business”. Three ISSP researchers participated at MED Final Joint Capitalization seminar in Brussels, on 24. and 25. of March 2015. This event brought together institutions from across the MED region that have been implementing projects under MED Programme in the previous period. The seminar was carried out in the final phase of the MED Programme 2007-2013, bringing together outputs and results developed by previous projects with the purpose of delivering recommendations and new tools for the forthcoming programming period.